When people go on fad diets, they’re cutting out more than just carbs, fat or even whole food groups: They are eliminating core elements of a healthy diet, such as enjoyment, satisfaction and attention to food quality and source. So says Gail Todter, Ph.D., a long-time practitioner and instructor of “eating mindfully” who has taught courses on the subject at the UVA School of Medicine’s Mindfulness Center. 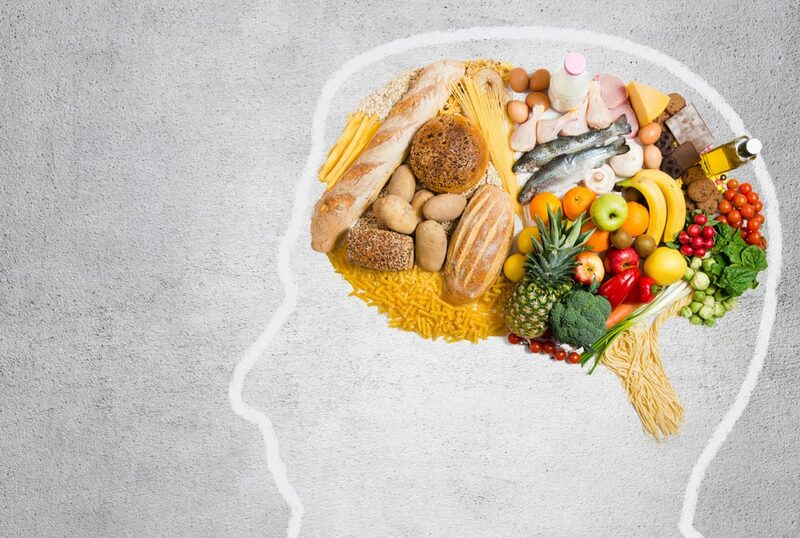 Eating mindfully, she says, can result in improved mood, weight loss and a better overall sense of well-being. Also referred to as “intuitive eating,” the practice involves slowing down, eating without multi-tasking or using electronic devices and noticing hunger and satiety, says Cynthia Moore, an assistant clinical nutrition manager for the UVA Health System who counsels and teaches University employees. In an era of high rates of obesity and diabetes among Americans, mindful eating can help steer people away from what may be tempting but minimally nutritious processed foods, Moore says. It can also help people cut down on “stress eating” and prevent them from overeating. “What it means to eat mindfully on a practical level is to be aware of one’s own hunger level and one’s own fullness level,” she says. Through sessions with Moore, UVA nurse Clara Winfield has learned to keep almonds in her locker and pause for a snack rather than wait until she feels ravenous. By eating at the right times and choosing nutritious foods, she keeps hunger at bay. In the process, she has stopped passing judgment on herself. And that has brought back enjoyment. Check your speed. Avoid sifting through email or watching TV while eating so you can pay attention and chew more slowly. “The whole digestive machinery for us humans takes a while to process foods,” Moore says. Use a 1-10 rating scale for hunger and fullness, Moore says. If a “1” is famished and a “10” is stuffed, aim to begin eating when you’re somewhat hungry (a “3”) and stop when you feel satisfied (a “7”). This helps with weight management, Moore says. Notice how you feel after eating. “Are you alert? Do you feel energized? Do you feel good about the choice you made?” says Todter. Apply lessons learned to the next meal. Develop other good “self-care” habits such as walking and spending time outdoors, Todter says. “To get started with mindful eating, find a peaceful spot and bring attention to the food you’re about to eat,” Todter says. For further reading on the subject, Todter recommends the book Nourishing Wisdom: A Mind-Body Approach to Nutrition and Well-Being by Marc David, and Moore suggests Intuitive Eating: A Revolutionary Program that Works by Evelyn Tribole and Elyse Resch. Thank you for this article, Michelle. For those who don’t have the opportunity to take a mindful eating class, I’ve developed a comprehensive mindful eating program, The Mindfulness Diet (completely free, donation optional), available for download at www.MindfulnessDiet.com. The program includes an app that guides the user by voice to eat slowly and mindfully. Michelle Jaffee makes so much sense with a practical approach to food and concentrating on the sensory pleasures of cooking and eating what you enjoy without distractions. Her numerical fullness scale is great. Children can take a lesson from behavior learned as well. On my way to losing 10 more pounds with a new approach. Thanks.